example: burn android image to EMMC on windows. 1,install PhonenixSuit. 2,running PhonenixSuit. chick “one key to burn” choose your android image file . 3,press on BPI-M3 uboot key. and plug in micro USB data line. 4，press on Power key to boot BPI-M3. 6,if all is ok , try to boot from eMMC , if any issue ,just need try again. @sinovoip I know you are just graduated student, but this shall be no excuse not to use your brain. I don’t know who you are, but you do know that posting in forums tend to disapear, if new postings are written, right? So why the heck do you write this here and do not ask @projectbananapi to put this on the website? What is going on in your brain - or did your boss tell you to do so? I don’t understand something like this. Really I don’t this is so not smart. Beside, the screenshots. Make two (2) instructions, one (1) in english with english screenshots, one (1) in chinese. This is sooooo easy, just think before you start. if all is ok , try to boot from eMMC , if any issue ,just need try again. ´You already provide corrupted images on your various download locations. For every download you prepare, create at least a SHA1 and MD5 checksum and publish them together with the files to download. And explain how to verify checksums after downloads. Everyone on this planet that provides software for download does so since decades. And it saves you and your users from so much trouble. And posting ‘instructions’ somewhere inside a forum is just moronic. But this seems also part of your ‘company culture’ that is the real source of all the mess SinoVoip customers experience again and again. I will post a link to this post on the website. Why? It’s still incomplete unless they also prepare a guide how to flash an Android image to SD-card. And as long as SinoVoip delivers broken images and doesn’t provide SHA1/MD5 checksums the whole process is just a waste of time. People download a few corrupted GB from the net, burn them on SD-card or to eMMC. And then booting fails and all @sinovoip provides is the recommendation to “just need try again”. Are they kidding? Do you think i can apply to any banana pi m3 os? or it is just for the android os only? 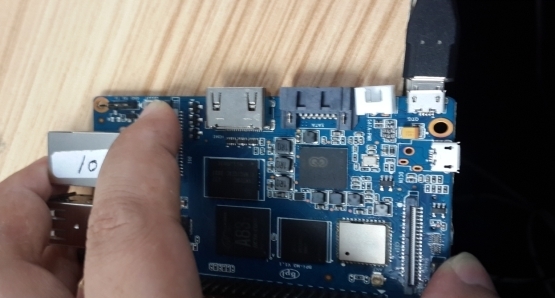 this tooling only for android , we now try let it support linux image burn also ,we coworker with allwinner now. 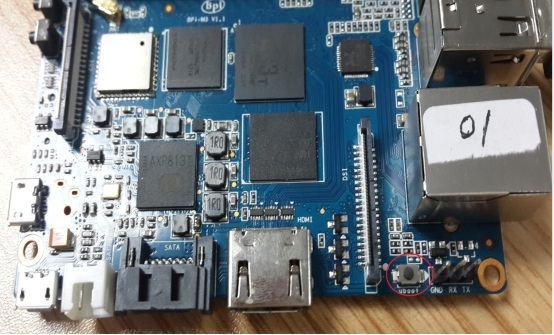 My banana Pi m3 has it own heat sink at high speed blower fan i buy it 69USD + 15USD for shipping + custom tax and now it become useless I am not sure if the OS came from your website are not yet stable or the possible the hardware defective I hope that you fix the problem before you start selling on the market. You shouldn’t confuse the original Banana Pi with the incompatible boards SinoVoip produced later. The images are already corrupted. They provide only broken download links. And they started just yesterday to fix important stuff: https://github.com/BPI-SINOVOIP/BPI-M3-bsp/commits/master therefore even if one of the images would not be corrupted important stuff won’t work. The good news: I built successfully their so called “BSP” from github half an hour ago. It should be easy to combine this with a known working rootfs so when my BPi-M3 arrives I will combine it with a headless Armbian image and give that a try. I try to flash an android os using phoenixSuite and it works, but i need to use Raspbian or Debian for my system requirements. SinoVoip must need to provide with full working OS that works on Banana Pi M3 that i buy from them. I try to flash an android os using phoenixSuite and it works, but i need to use Raspbian or Debian for my system requirements. And if you look into their github repo and see what has been fixed yesterday then you know that now even this is true. It took several months until the OS images for the wrongly labeled “Banana Pi” M2 worked somewhat. But there the good news is: For the M2 with its A31s SoC there existed already good mainline kernel support so the community did the job. Now you can use the M2 without having to rely on weird software stuff from SinoVoip (rehashed stuff from Allwinner). With the M3’a A83T it’s different. Mainline kernel support just started. And SinoVoip still has no clue how to become an open source community member. If they would donate 4-5 M3 to the linux-sunxi community things would improve a lot faster. But they prefer to sell hardware that can be either used with Android (using the software supplied by Allwinner) or as a paperweight (using the software supplied by SinoVoip). I doubt we will see an M4. Until then they eventually managed to ruin the ‘Banana’ brand completely. onths until the OS images for the wrongly labeled “Banana Pi” M2 worked somewhat. But there the good news is: For the M2 with its A31s SoC there existed already good mainline kernel support so the community did the job. Now you can use the M2 without having to rely on weird software stuff from SinoVoip (rehashed stuff from Allwinner). Yes you are right, i am so much disappointed to Sinovoip because it lack of support. Install Android 5.1 on EMMC is everything ok ? You do not risk anything ? If something goes wrong as you can go back? Other systems can then start from the Micro SD with Android on board EMMC ? Can someone give me step for step tutorial how I can load the Android image to the emmc. I tried the tutorial here but with no success. So I used PheonixSuit. Pressed the Uboot button (and hold it). Connected the USB Cable to my computer ( was connected to the OTG port of BPI). The red led turned on. But nothing happend. PhoenixSuit can’t find any device. So what made I wrong? Thank you for your help. Please give us exact step of install Android 5.1.1 to M3 EMMC. YouTube movie of the installation would be great. I’ve tried an old proven way using PhoenixCard 3.09 with an intermediate SDCard (just google by “PhonixCard” to get a lot of tutorials) and image flashed just fine.